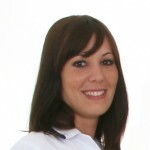 Szilvia is the practice head nurse. She qualified in 2008 and is enthusiastic, friendly, dedicated and caring. She makes for a very warm and reassuring welcome and will be only to happy to help answer your queries.